This installation method is useful if you have a laptop without a DVD drive, or if you want to install Windows 7/8.1 faster from a USB (thumb/flash/jump) drive. Installing Windows onto a USB Drive will ERASE ALL OTHER FILES off drive. Be sure to back up drive and other files for both your computer and drive. Must be an Administrator on the computer upgraded. 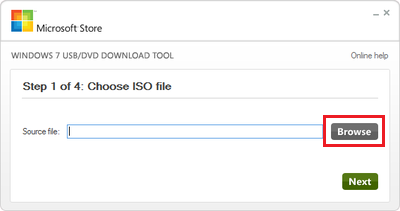 The Download Tool helps by copying the ISO image file over onto the drive. The file contents of an ISO file and ISO file cannot be just copied and pasted onto the drive. The tool makes this ISO bootable without having to first run an existing operating system on your machine. Read the instructions completely with warnings and notes before performing each step, especially on Step 6. 1. Install the Windows 7 USB/DVD Download Tool (2.6 MB), made available by Microsoft. This was originally designed for use with Windows 7 ISO onto a flash drive but it works perfectly with Windows 8 and Windows 8.1 ISO images as well. 2. 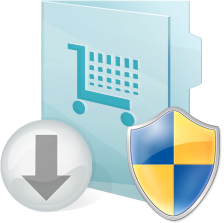 Click Start | Programs| Windows 7 USB DVD Tool to Run the Windows 7 USB/DVD Download Tool. 5. 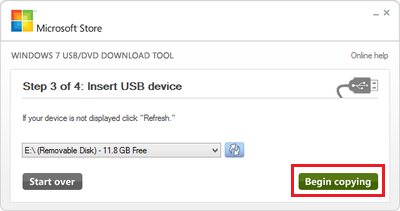 Click USB device for the media type which you will use to install Windows 7/8.1. If you backed up your files but forgot to clear your flash drive as listed above, do not worry. 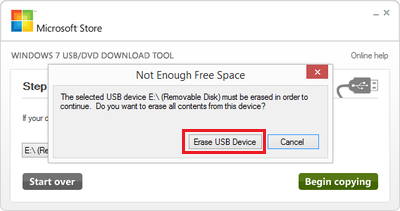 Windows will clear it for you upon clicking "Erase USB Device". You may also exit the operation by clicking "Cancel", and no action will be taken on the drive. 7. 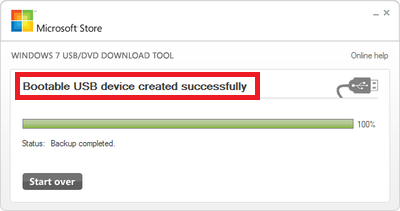 Step 4 of 4: Creating bootable USB device will begin. 8. Upon seeing "Bootable USB device created successfully", your Windows USB has installed successfully. You may now use it to install Windows onto a computer.